Cashpoint / ATM | Chinglish Alert! 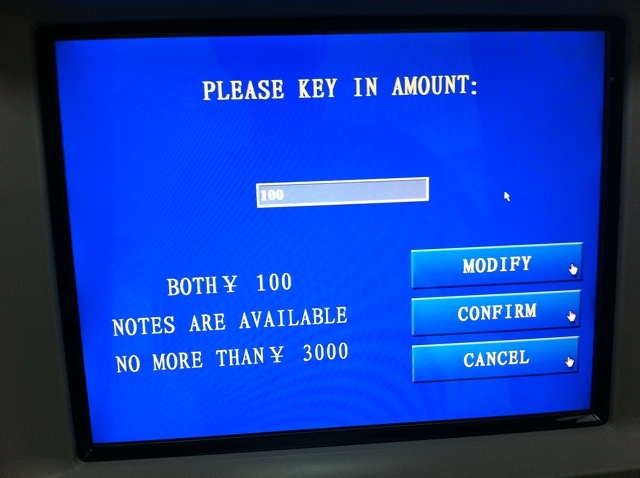 Cashpoint Chinglish Offers You… Fake Banknotes? So — OK… both ¥100 notes are available… that means the real notes and the fakes. Right?